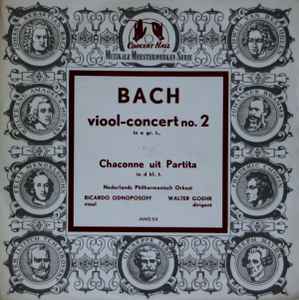 Bach*, Nederlands Philharmonisch Orkest, Ricardo Odnoposoff, Walter Goehr ‎– Viool-Concert No. 2 In E Gr. T., Chaconne Uit Partita In D Kl. T.